Ivy Wappler will be featured as our next student update writer for the week. Having just returned from the expeditionary period of school, she has a lot to say about her incredible experiences: Today K4 will be departing for their 8-day kayak trip after breakfast. K3 is in the middle of their trip as I write this, probably enjoying Lighthouse Beach and its pink powdered sugar sand. They might even be on solo right now. Yesterday, K1 and K2 returned home from their 3-day Down Island Trips, which focus on our Histories class and the effects of tourism on the island. My kayak group was first to depart on 8-day around two weeks ago. We spent three days kayaking to Lighthouse Beach, which was especially satisfying because each day there were two new student leaders who decided with the group how far we would paddle. On our own direction, we reached Lighthouse Beach a day early, camping in pretty creeks along the way. We reached our final destination in time to enjoy a day to explore and play. As we came back from exploring the cliffs that day and were swimming at the little secluded beach beyond them, a student accurately put it that it felt as if we were “living in a screensaver. ” That day, I officially deemed Lighthouse Beach as the most beautiful place I have ever been. The next morning, we started our solos. 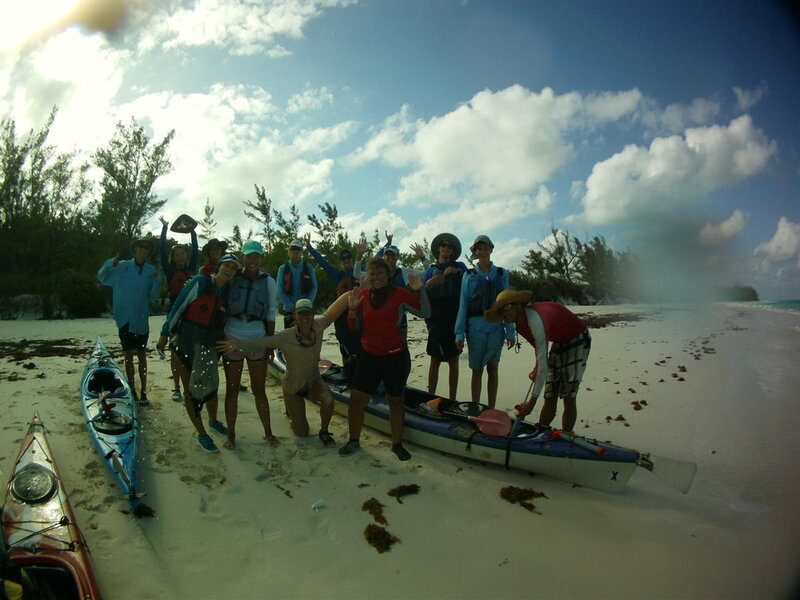 Solo was one of the biggest challenges I have experienced at The Island School so far. We were alone for 48 hours, and I chose not to accept the small food rations and see if I could subsist on nothing but the coconuts I could harvest. It was a challenge of the body and the mind, as I experienced the effects of minimal food and the vulnerability that comes with being truly alone. I am confident that I learned new things about myself, and I also experienced a couple profound emotional realizations, which I believe surfaced in my mind as a result of the time, space, and circumstances in solo. It was a challenging and rewarding and completely new and unique experience for everyone. We are sending good luck to those on K3 who are in the midst of it right now!